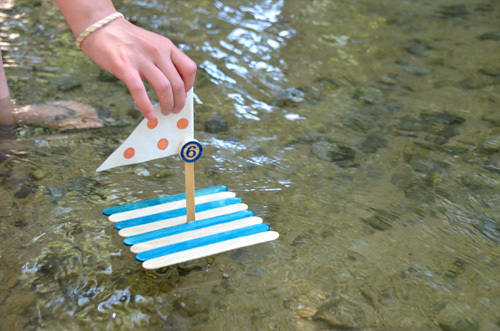 These boats are a fun and easy summer craft for kids of all ages! 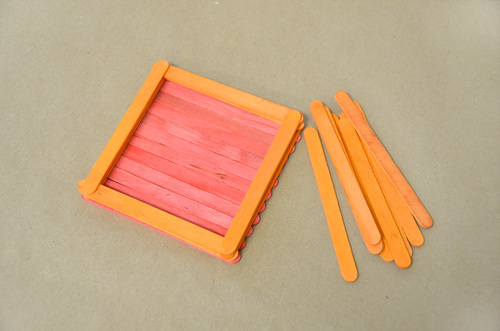 It also helps kids learn to follow instructions, be creative, and problem solve! Check out the levels of difficulty and choose the appropriate one for your child. 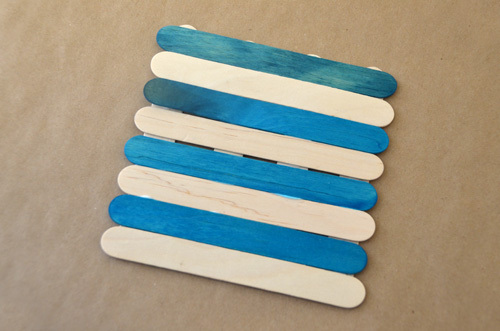 Lay four sticks down flat like shown. 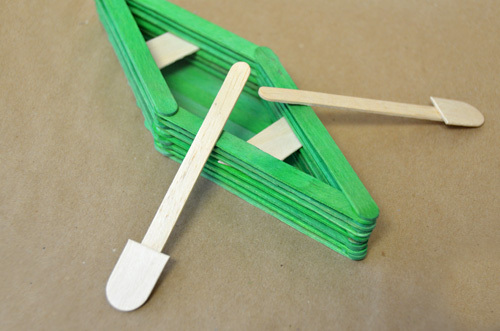 Start with the very edge and glue down the top sticks, one after the other. Your boat should look like this. Notice the very small space between the two middle sticks. This space is the width of a standard craft stick and is there for the sail! Now its time to create that sail I was talking about earlier. 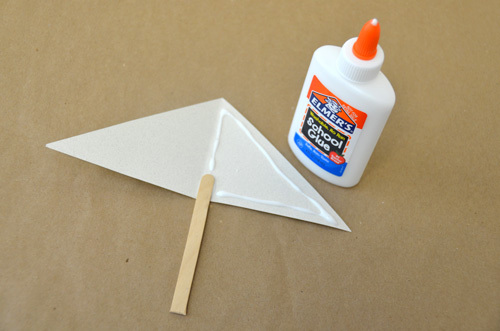 Cut a piece of thick paper in the shape that you want your sail. 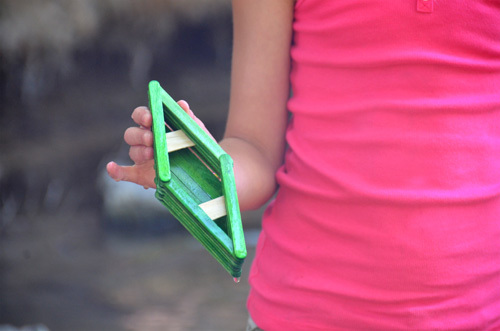 For my sail, I made a triangle and folded it in half around the standard craft stick. Attach sail and let it dry completely. 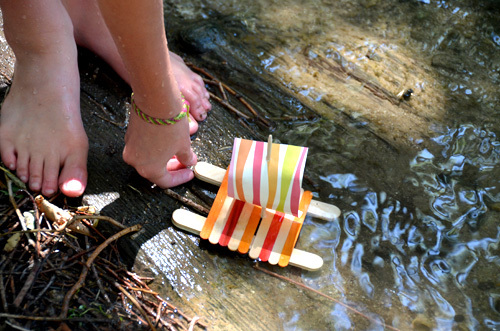 Easy Boat: Float and Problem Solve! Once your boat is dry, its ready for the water! Use this as a time to teach problem solving. 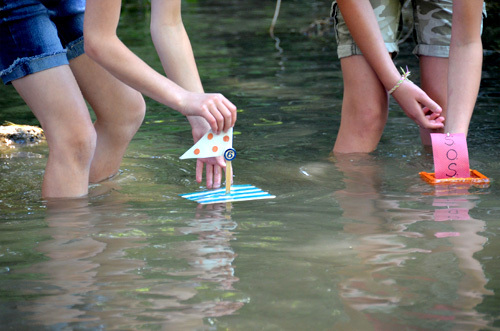 We found that it floated pretty well, but challenge your child to figure out what would help it float even better! 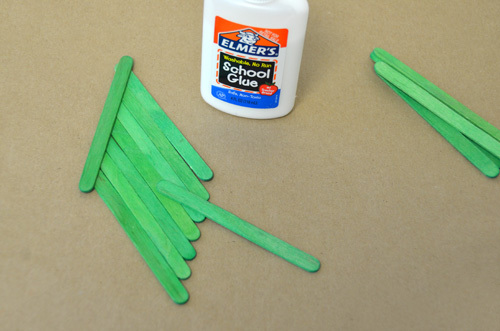 Lay 12 sticks down in a straight row. They should be as wide as a standard craft stick. 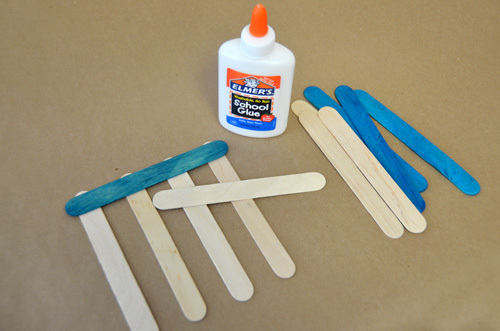 Next glue two sticks to the base, one on each side like shown in the picture. This will hold the base together, so make sure to let it dry. 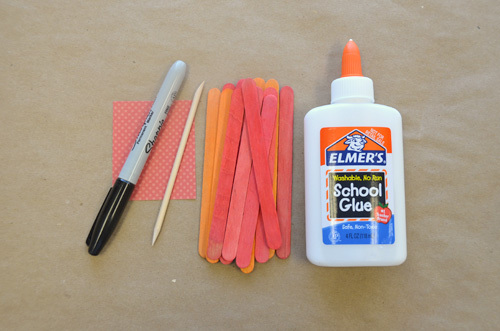 Glue at all four of the corners as you build up the layers. Build as many layers as you like, I did about five. When the sides are done, it's time for the sail! 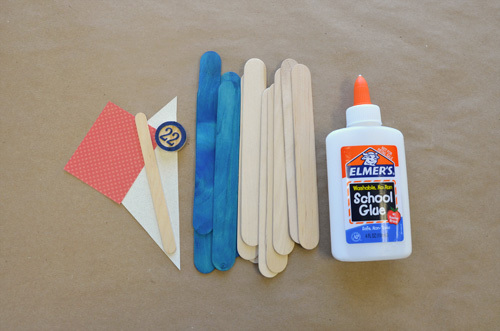 Decorate your sail. Poke one hole in the bottom and one hole in the top using the eyebrow stick. Use a generous amount of glue to position the eyebrow stick in between two of the standard sticks on the bottom. Let dry completely. 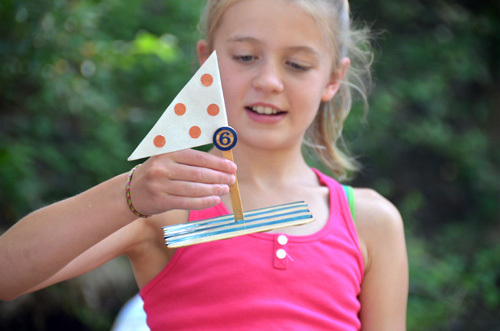 Get outside and test your boat! 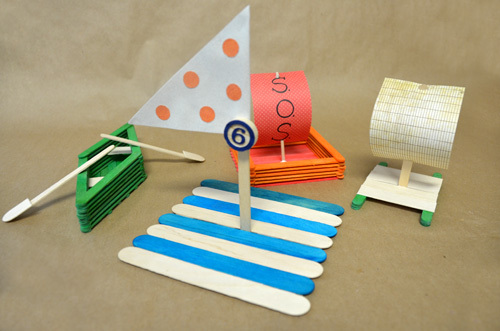 If you have trouble getting your boat to float, don't forget to try some problem solving! 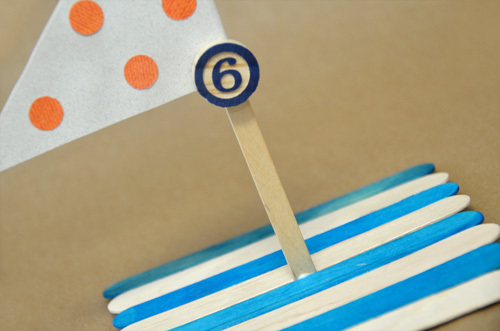 Carefully lay 7-8 standard sticks down diagonally. 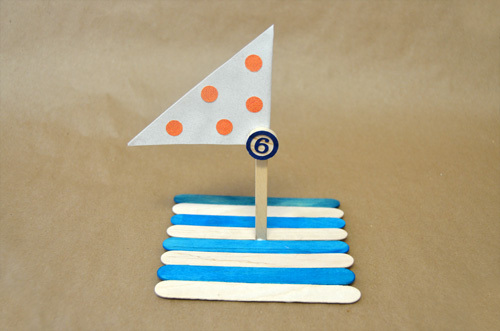 Make sure a standard stick lays nicely across the ends (similar to the medium boat). 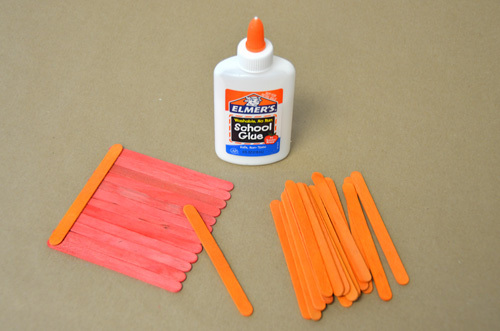 Glue two sticks across the ends and let sit for a few minutes. Build up the layers using the same technique from the previous boat. Once you get about half of the layers done you can add seats if you desire. 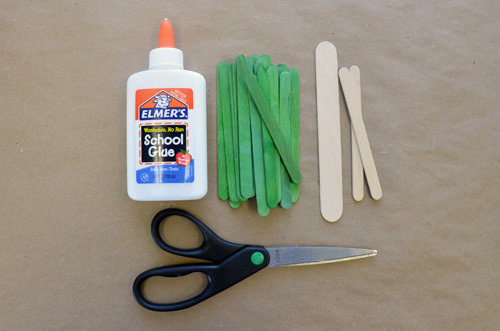 To do this I just used sharp scissors to cut the jumbo craft stick into two pieces. 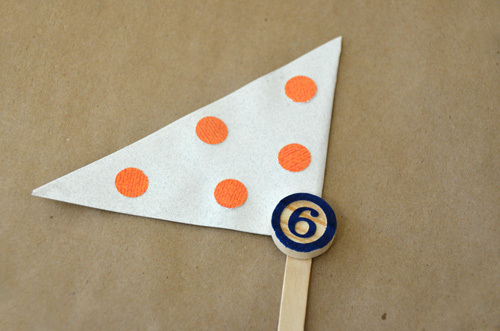 I just guessed how diagonal the ends needed to be to make it easy, but I encourage you to get out a ruler and cut them exact! 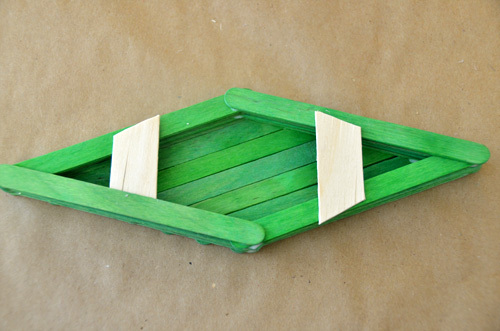 Just use a small about of glue to attach seats and keep on building up the layers. To make the oars I simply cut both of the ends off of the jumbo stick I used for the seats and glued them to the end of two standard craft sticks. They turned out really fun! 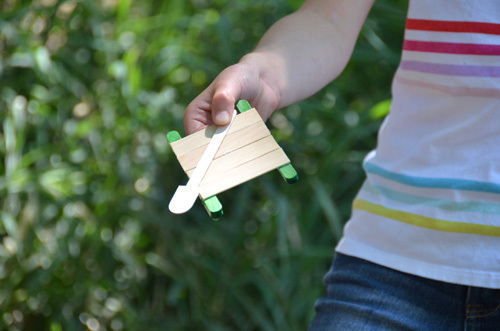 Take it outside or to a bath tub full of water and test it out! 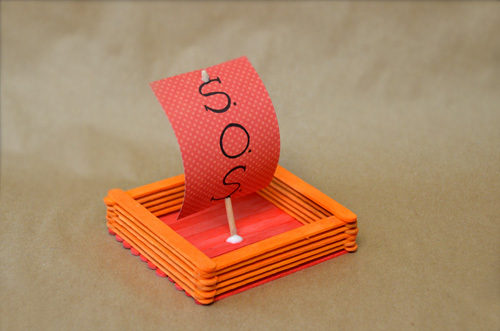 Don't forget to problem solve and make modifications to make it float better! 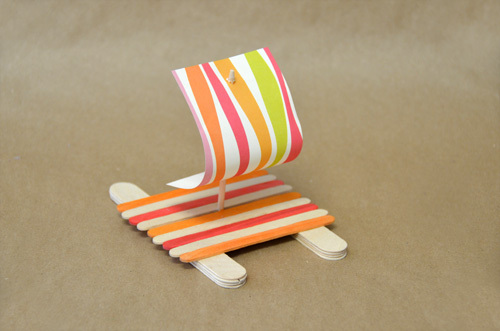 Here's some more boat design inspiration! Let us know if you come up with any great solutions, we love hearing from you! 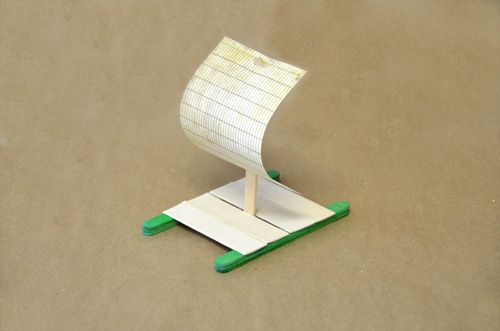 fyi thank you so muck right now we have project o biuilding boat for a class project for steam in my elementry school can you send more easy ideas .ps thank you. 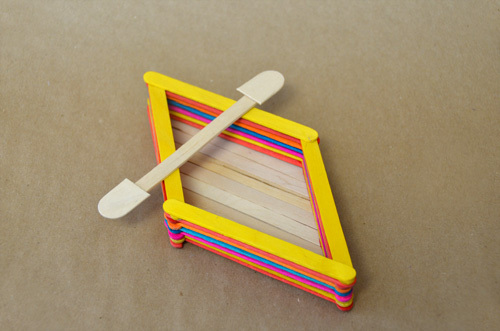 love making stuff out of ice cream sticks, just as much fun as eating the ice cream. thats so cool im going to do the same thing today and put it in the ocean and see where it goes and i will put one in a water fall and the other in a river.